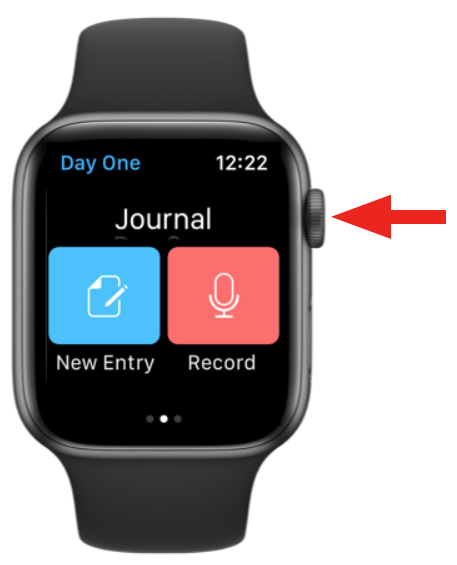 Day One is available on Apple Watch to dictate short entries or check in with locations. 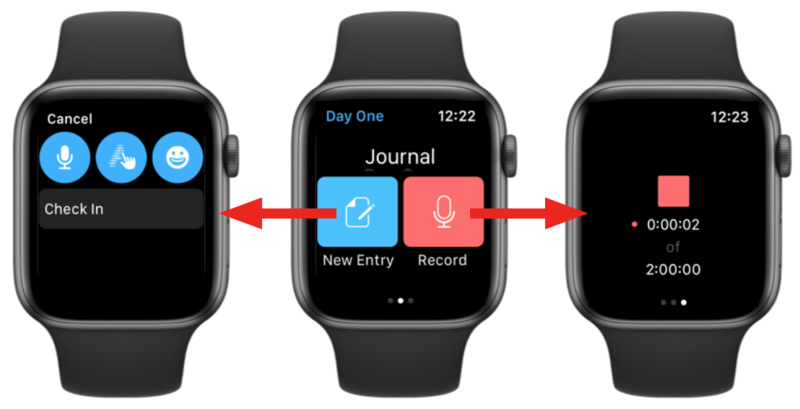 Day One is available on your Apple Watch! 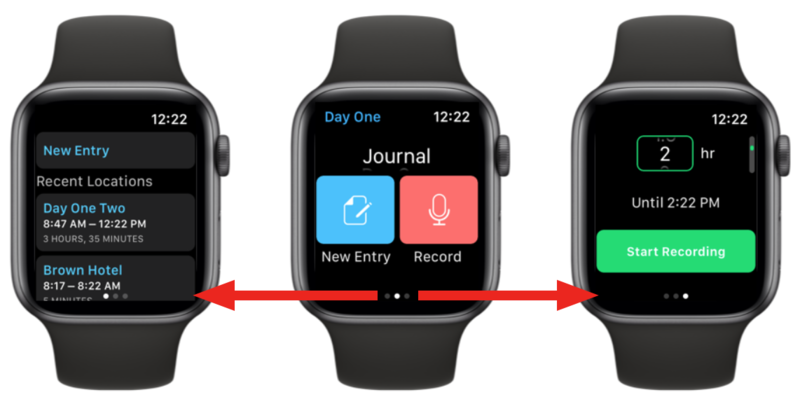 Tap the complication or open Day One from the applications view. 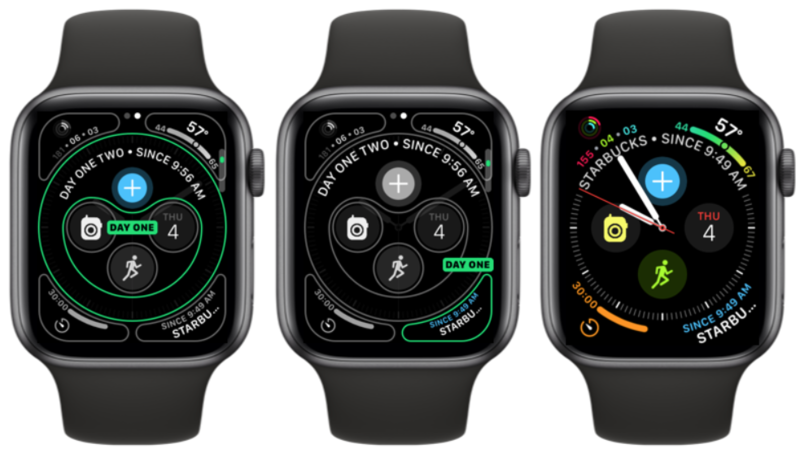 One of our favorite new watch faces in watchOS 5 is the Infograph. 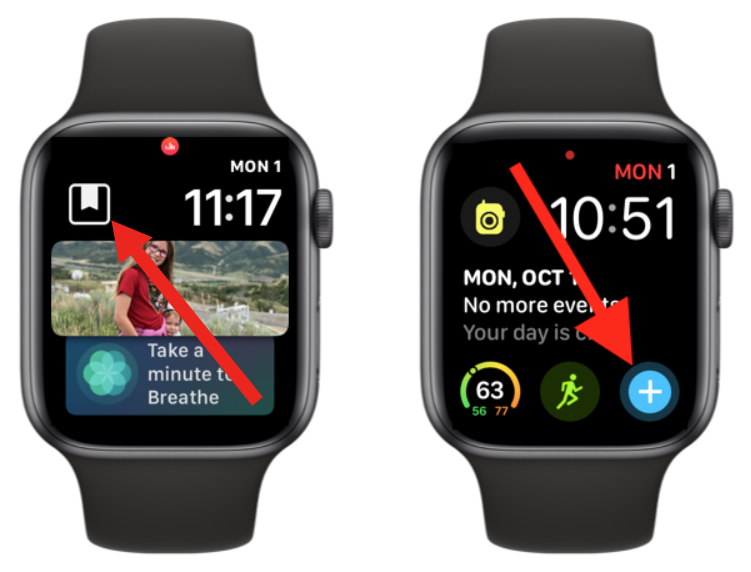 When using Day One complications on this watch face, you can see your recent location. Tap the location or the blue + button to open Day One. It is available in the different configurations for this watch face. Scroll through your different journals using the Digital Crown. Tap the New Entry button to dictate entry, sketch, use emojis, or simply Check In from your current location. Tap the red microphone icon to start recording an audio entry. Tap the Microphone icon to record audio (up to 2 hours). Tap the Stop icon to save the audio recording. Depending on the length of the audio, this may take some time to save. You will see a notification (and haptic feedback) when the entry is saved. Audio can be recorded while not connected to iPhone. Your audio recording will sync when connected to iPhone. Swipe either left or right for to access Recent Locations or Audio recording settings.